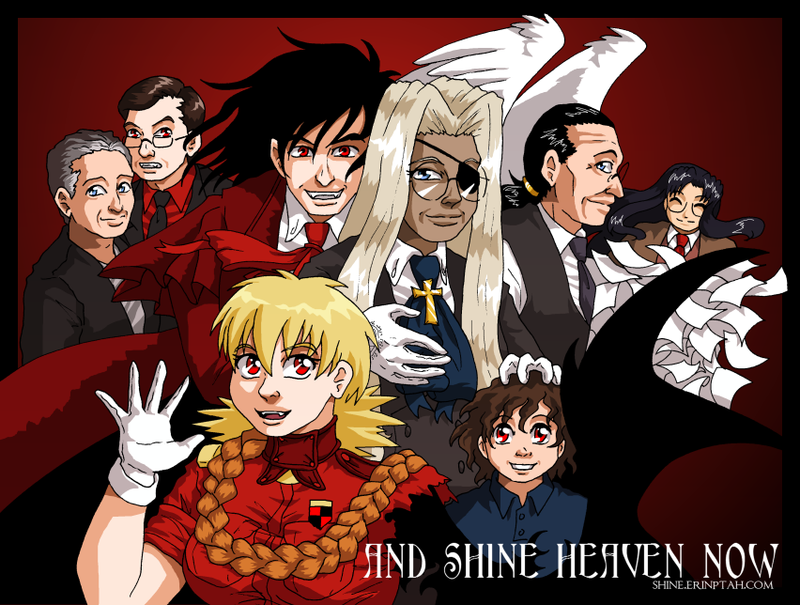 Alucard: Do you suppose a fangirl will come attach itself to Walter? Integra: Good question. Walter: Good evening, Sir Integra, Alucard… [WHUMP] Fanboy: Walter is the coolest character and Walter has the most ultimately cool weapon and Walter is like invincible and all must be in awe of Walter! Fangirl: It’s the fanboy! Top: Original strip from 2003. Bottom: Sample redraw from the strip’s 8th anniversary, in 2011. Integra: How can we find out what will make a fangirl happy? Fangirl: Check our websites! All: … Integra: Fangirls have websites? Fangirl: Of course! How do you think we meet each other?